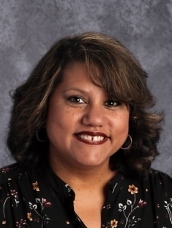 Friday, Feb. 8, 2019 - Francesca Sinapi, current principal of Ladd Acres Elementary School, has been selected as Hillsboro School District’s new executive director of schools, replacing Grant Corliss, who is retiring. Sinapi will begin her new role on July 1, 2019. Sinapi began her educational career 28 years ago as an teacher assistant in the Baldwin Park School District in California. Her first teaching position came in 1999 when she served as a bilingual classroom teacher and Structured English Immersion teacher in the same district. She moved to Oregon in 2001 and spent the next twelve years working as a classroom teacher, intervention specialist, and administrative intern in the Beaverton School District. In 2013, Sinapi joined the Hillsboro School District as principal of Ladd Acres Elementary School. At Ladd Acres, she created a schedule that allowed for collaboration among specialists and grade-level teachers; implemented a year-round after-school enrichment program that serves more than 300 students per quarter; prioritized language acquisition for all and cultural understanding by bringing the Chinese (Confucius Classroom) program to her school; and even fundraised the resources to build a wellness room, garden center, and gazebo. As executive director, Sinapi will have direct oversight of approximately half of the District’s 25 elementary schools. On Thursday, February 21, representatives from the District’s Human Resources team will hold two listening sessions at Ladd Acres to gather feedback from staff and families on the qualities they would like to see in their next principal prior to the posting and hiring process. The staff session will take place in the afternoon and the family session will take place at 6:30 p.m. in the library.